AiRace Speed happens to be one of the best racing games on the 3DS. Before we go too far with that statement, let’s pump the brakes a bit. 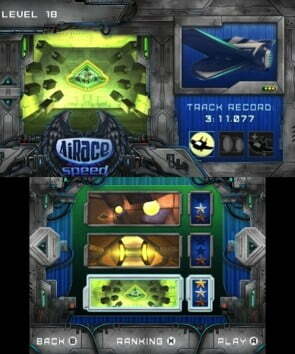 AiRace Speed is one of the best racers on the 3DS because there aren’t many racers on the 3DS. Graphics are solid for a low-budget game. If you’re looking for the quick fix, AiRace is definitely in the running for a cheap and very quick bite-sized racer. 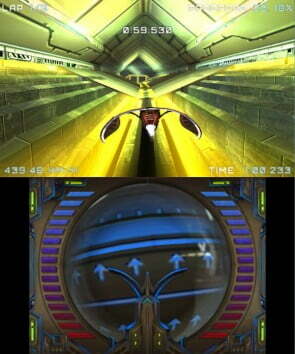 Consisting of only time trial gameplay, you race against the clock to finish the various courses laid out for you. Each course is a long tunnel, winding, branching, and populated with obstacles. You job is to pilot your spaceship through as fast as you can. This is something that really is devilishly simple. You see, there are no other racers in AiRace Speed. It’s just you and the clock. So you’ll never have anyone bumping you or firing MarioKart-esque weapons at you. This makes the game much easier. There are actually a decent number of courses to choose from. But for everything they took away there, it comes back in the form of shifting and changing obstacles along the path. Controls are fair, meaning that for the most part, piloting around the obstacles isn’t too difficult provided good reaction time. The 3D effect really helps in this regards, stretching the tunnel out in front of you and giving you the much-needed depth perception for handling approaching obstacles. The compass at the bottom never made any sense to me as I played. The problem is that there isn’t much past that. There isn’t much to this game at all, really. It’s just those time trials. 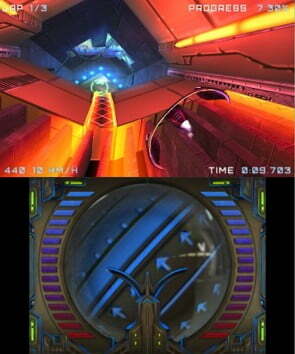 There is no variety to the gameplay. If this was a real racer with real depth, there could be a lot of potential in AiRace. This just isn’t the case. 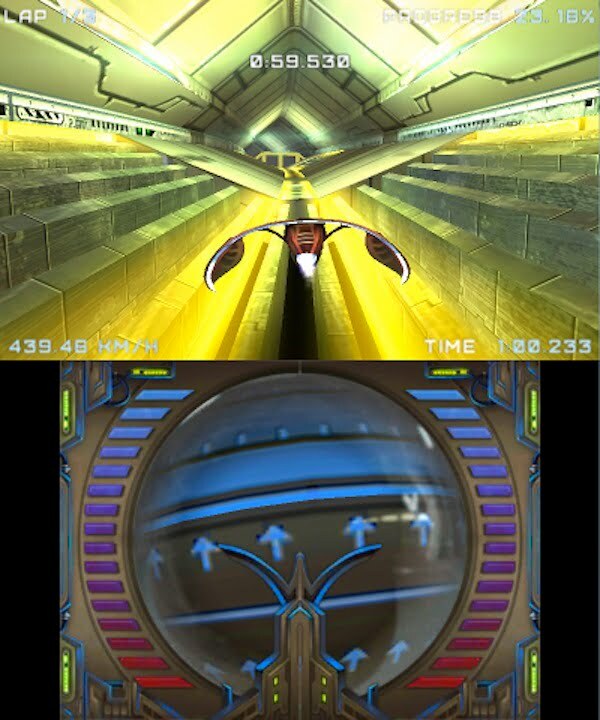 With a lack of any modes other than time trial, a lack of opponents, and a lack of breathtaking visuals to at least distract you from how empty the tunnels are, AiRace just seems like part of a larger package. As if you had stripped Wii Bowling from the larger sports title and made it its own game. It’s not substantial enough to hold its own weight. If the review seems short, it’s because it is. And it’s because there isn’t much to talk about for this shallow game. For what AiRace Speed does, it works. It works very well, in fact, making that five dollar entry fee a tempting offer. But this really is a downloadable title worth of the best app store games, not a blown out 3DS release. There just isn’t enough game here to make it an enduring title, but it makes for a great distraction. And for only five dollars, it’s hard to go wrong. Eric is a high school science teacher and gamer who hopes his life doesn't one day become an episode of Breaking Bad.